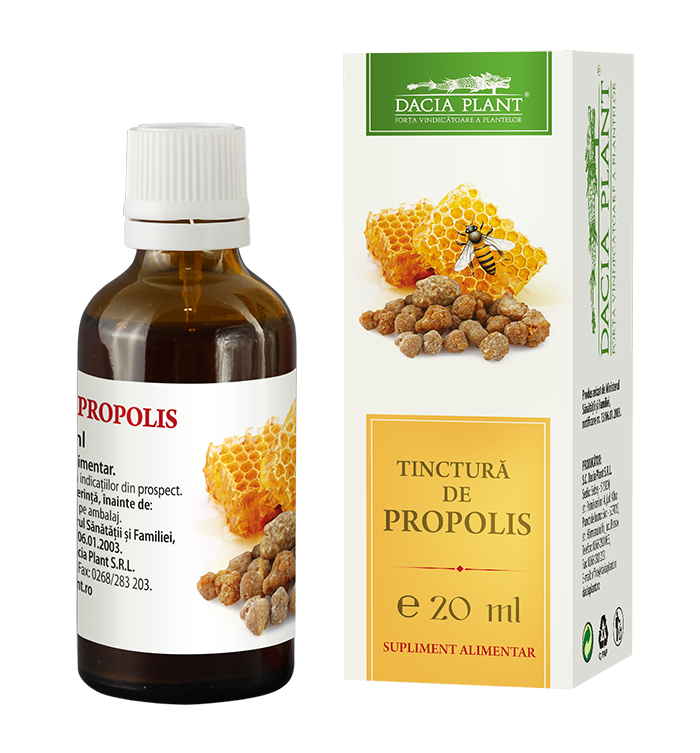 Propolis tincture is an alcoholic extract of propolis, prepared without heating. The propolis is obtained mainly from poplar bud resin, but also from other plants. In traditional medicine, it is used due to its antimicrobial, anti-inflammatory and healing properties. The body assimilates alcoholic and hydroalcoholic solutions most easily among plant and bee products; the effects appear shortly. antimicrobial (bacteriostatic and bactericidal on both Gram positive and Gram negative bacterias), antifungal (against Candida albicans), antiviral (against Herpes simplex virus), analgesic, anti-inflammatory, anesthetic, helps epithelization, immune stimulant, antioxidant, mucolytic and so on. 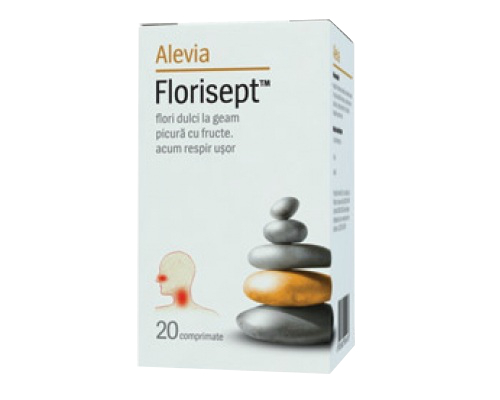 analgesic, anti-inflammatory, antimicrobial, anesthetic, helps epithelization. It is used as adjunct in: pharyngitis, laryngitis, tracheitis, tonsillitis, bronchitis, viral respiratory infections, sinusitis, colitis, enterocolitis. It is used as adjunct in: pharyngitis, tonsillitis, skin disorders (infectious eczema, mycoses, superficial wounds). Due to the alcohol content, it is not recommended in: viral, toxic and metabolic hepatitis, hepatic steatosis, cirrhosis, pregnancy and breastfeeding. Do not administrate to people who have allergies to propolis, to bee products or in treatments that do not allow alcohol consumption. Side Effects: Allergic reactions can appear. Use with caution in people with hyperacidity gastritis, gastric and duodenal ulcers (due to its alcohol content, it can raise the level of stomach acid). The product contains no preservatives and no artificial colouring agents. The product contains: flavones (acacetin, chrysin, apigenin), flavonols (galangin, isalpinin, kaempferol), flavonoids (pinocembrin, pinostrobin, pinobanksin), phenolic acids (caffeic, cinnamic acid), nicotinic acid, polyphenols, phenolic aldehydes, sesquiterpene, coumarin, steroids, fenilpropanoide, alcohols, ketones, carbohydrates, essential oil, conditioners, vitamins (A, C, E, PP and B complex components), trace elements, amino acids, tannins, pollen and so on. Adults and adolescents over the age of 15: one teaspoon of tincture three times a day, before meals. Children aged 7-14 years: 10 to 30 drops of tincture 3 times a day, before meals. Children under 7: according to the doctor`s recommendation. Administrate the tincture mixed with a tablespoon of honey or on a piece of bread.